As I said last year, after another Play-Off Final defeat, as a Blade you just have to carry on regardless. Regardless of the frustration. Regardless of the pain. Regardless of the knowledge that nine times out of ten it will end in an unmitigated disaster. But now some are not carrying on. Some have had enough. And can I blame them? Probably not. The Play Off semi final first leg will probably see a relatively low crowd at Bramall Lane, despite the £15 tickets. People have had enough. Had enough of a well rewarded team showing little desire, had enough of performances without shape or structure and of a board who stumble along from one ill-thought out decision to another, without a long term plan and with little autonomy for the men supposedly in charge day to day. Hard though it may be to recognise; there are elements of our season to commend. Defensively we have been consistently strong. A team doesn't keep 21 clean sheets by chance and a great deal of credit should be given to a back four and goalkeeper, who have performed at a level that belies the lack of experience some of them have. But those clean sheets have come at a price. Some of the performances witnessed this season can best be described as turgid. We lost just nine games all season, equalling Brentford with the fewest defeats in the division. Our problem was draws, all eighteen of them. There’s been seven 0-0 draws, all bar one at Bramall Lane, with four in the last seven home games demonstrates a side shorn of creativity, movement and that special something that can unlock a resolute visiting side. Charlton went up last season as champions, without really standing out as a thrilling or exciting team to watch. 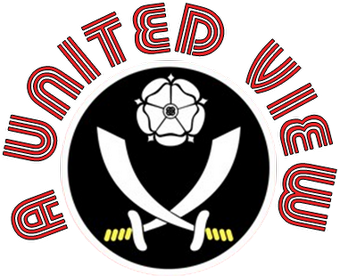 Efficiently going about their business, taking wins by the odd goal, many Blades clung to the hope that we were going to replicate that this season. It was not to be. Criticism has been building all season, with initial murmurings dismissed by local media who said we were ridiculous for not focusing on results and league position. The initial symptoms of failing to react to second balls, a lack of natural width, pace and cutting edge were clear to anyone watching the Blades week after week. The failure to properly address any of these areas left the team pedestrian, lumbering and disjointed as the season petered out. Hopes of automatic promotion, lost to an ageing and slow squad, with injuries and player sales leaving it weaker than it was before. Broken promises of adequate replacements, a manager working without free reign and with severe limitations on what he can do to change things. Yet the option for youth was ignored for so long, it is asking a lot for them to come in and have the positive impact required right now. Why should people bother if the rest of the club show such a lack of ambition? There is no such thing as blind loyalty. Everyone has their limits. For some, it is when the owner and his acolytes are trapped in a downward spiral of risky and hurried decisions, the like of which they wouldn't engage in in their day to day business. The sacking of Danny Wilson has realistically left us no better off than we would have been if we had kept him. The initial burst of positivity and intent demonstrated in Chris Morgan's first game in charge against Swindon Town was quickly extinguished and there is no discernible improvement. Even the stoically positive away supporters have recognised that a day on the ale and 90 minutes of positive support, cannot hide our players' failings, nor lift them to a level of performance that is anywhere near adequate. When the away supporters turn, when they have had enough, then you know there are fundamental issues. I will accept that clubs have players that aren't good enough, that can't do the things you would like them to do, but what I can't accept is a lack of effort, application or will to win. Many would deny that our players have demonstrated that, that it is not in their make-up, they aren't that kind of player. I am sorry, but performances at times this season have suggested otherwise. Maybe their fear and timidity could be misconstrued for a lack of application, either way it is unacceptable; especially when it is the more experienced professionals who seem unable to cope. At the start of the season, when asked for my predicted League table for When Saturday Comes magazine, I tipped the Blades to finish 8th, a view clearly not shared by the representative fans of other League 1 clubs who, based on average predicted positions, had the Blades as champions. On that basis, I should be happy with 5th place but for me this represents a real missed opportunity. My prediction was at a time when the make-up of the squad and that of other clubs was still uncertain. Expectations fluctuate over the course of the season; once you have seen other teams, once you see where the league table pans out. The thing is I genuinely saw little else of any quality in League One this season. Crewe and Brentford were the teams that impressed me the most, whilst Doncaster were efficient, but not exciting, and Bournemouth were beaten twice. Wage bills don't necessarily translate to on pitch success, I accept that. But the United players, who are probably paid a combined amount near double that of most of the competing teams and many of whom are experienced and well paid professionals, need to take a long hard look at themselves and consider whether 5th place was truly acceptable. To hear our Captain Michael Doyle speak in recent weeks, it seems it was. How disappointing. An acceptance of 5th place is as spineless as some of those end of season performances, when there wasn’t even the will to maximise our league position for home second leg advantage, nor to enter the play offs with a positive frame of mind enveloping the club. Instead we have an attitude where many can’t even be bothered leaving the pub or their settee on Friday night and I can understand the ambivalence of my fellow Blades. I am going on Friday and I cannot see where United's goals will come from. I cannot see us keeping another clean sheet. I don't expect us to get to Wembley. I have renewed my season ticket, expecting League One football. I have seen little to persuade me otherwise. Yes, there must be a first time for the play offs are kind to us. Then again, can we get through three games with three clean sheets and a goal again, for the second year running? I doubt it. Mind you, if we did that it would come to penalties again and oh how the Football Gods would be laughing! Nice article. I totally sympathise with you and have been through a similar few years with my club (Bristol City). Good luck tonight - you could be in for another tough game unfortunately, but either way, I hope you get something positive out of it. Perfect summation of the missed opportunities this season presented and the way a lot of Blades feel about the team. It's a shame we didn't start the rebuilding job we now need when it should have been started 2 years ago. The next managerial appointment is crucial but I don't know any Blades who have any faith the club will make the right call.